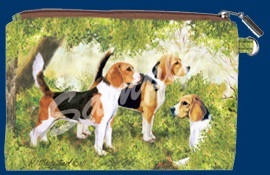 "These ZIPPERED POUCHES are 4"X6", lined, and zippered with a stunning design on front and back. Use them as a make-up pouch, coin pouch, credit cards holder or a handy pouch for your pocket. They are a perfect small holiday gift or impulse item for vacationers".